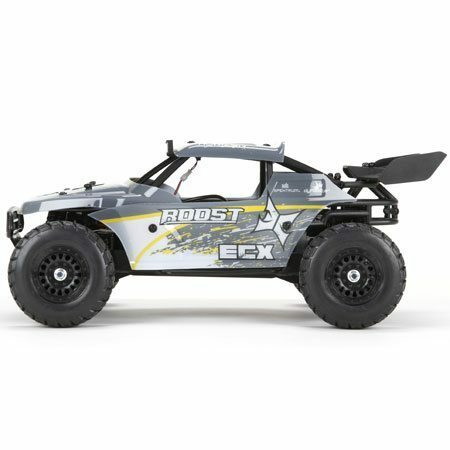 Starting 2016 off with a bang, ECX has unveiled their latest 1/18 scale off-road machine, the Roost. Featuring some nice accessories (LED light bar), waterproof receiver and ESC, oil-filled shocks, an easy-to-access battery tray, and a shaft-driven 4-wheel drive system, this is one vehicle that may look small but can pack a big wallop. The prices for this new rig is listed at $119.99. Learn more about the Roost at ECXRC.com.